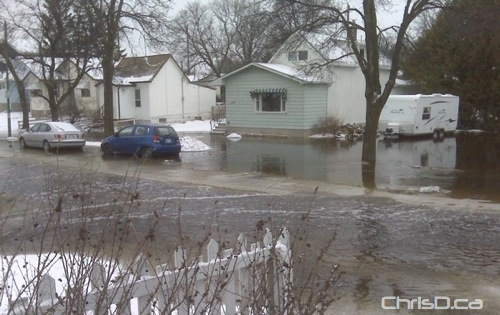 ChrisD.ca received some photos and a video from readers wanting to share the water levels in their area. Ben MacPhee-Sigurdson sent in these photos of Albany Street in St. James. 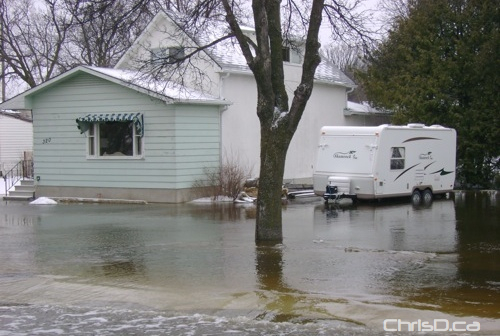 Truro Creek spilled its banks and caused havoc to the nearby homes in its path. 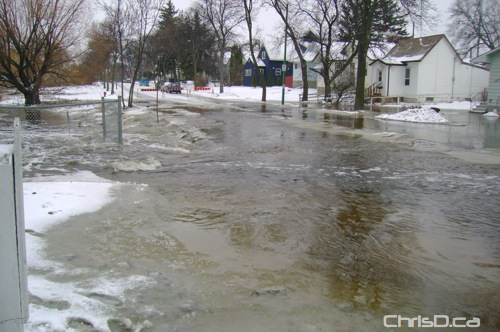 The City updated its flood forecast on Tuesday, but unfortunately it doesn’t include details on dealing with scenes like this. Ben also shot this short video, which shows the depth of the water as a vehicle passes through. Ernest Cucheron sent in this photo of the Red River near Alexander Docks as water levels continue to rise. SEND IN YOUR FOOTAGE — WE WANT TO SEE IT! ← These Boots Were Made for Walking … in Flooded Streets!